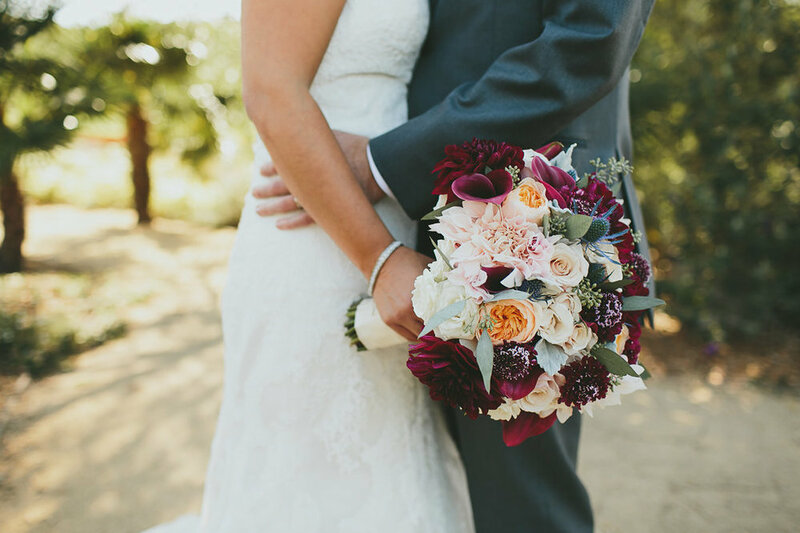 Beautiful burgundy, soft peach and natural rustic greenery made this wedding at Nella Terra Cellars romantic and enchanting. 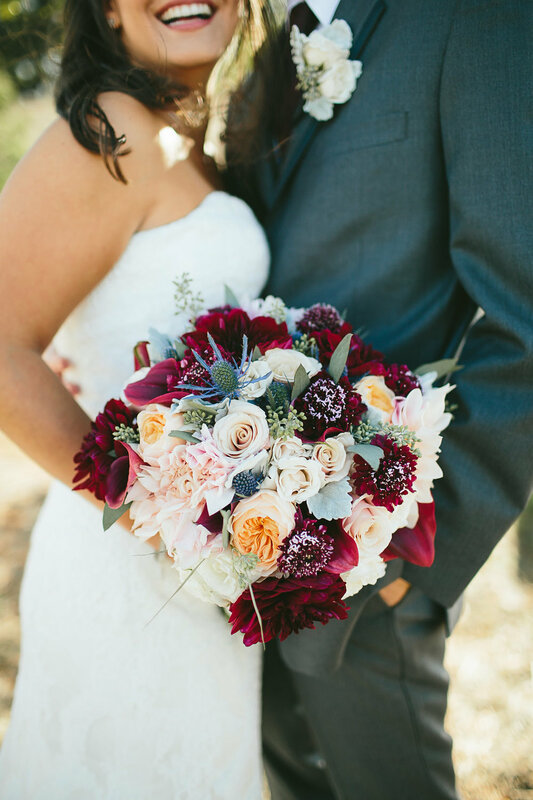 The lovely bride carried a textured bouquet of burgundy, peach, soft blush, and interesting thistles. Her bridesmaids wore deep wine dresses and carried beautiful bouquets matching the brides. 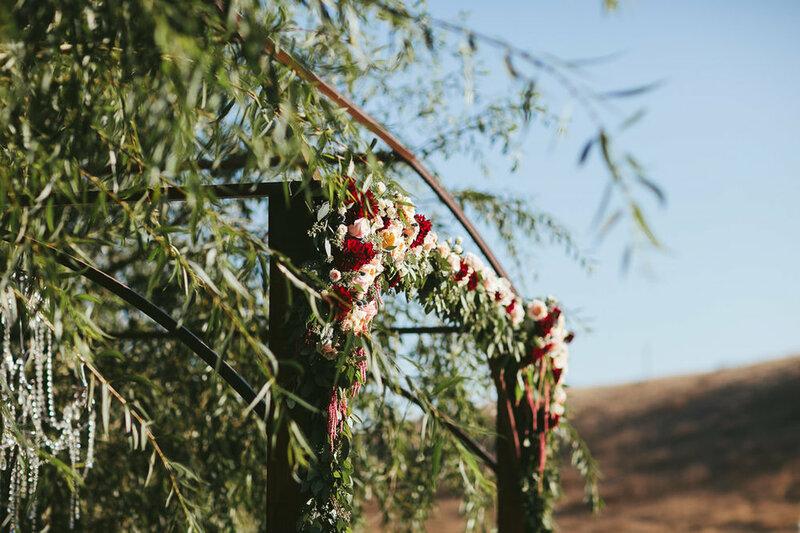 The outdoor ceremony held under the arbor that was decorated with seeded eucalyptus garland and floral corner pieces. The aisle was adorned with lanterns spilling with flowers and footed dish arrangements on wine barrels greeted guests into the ceremony. 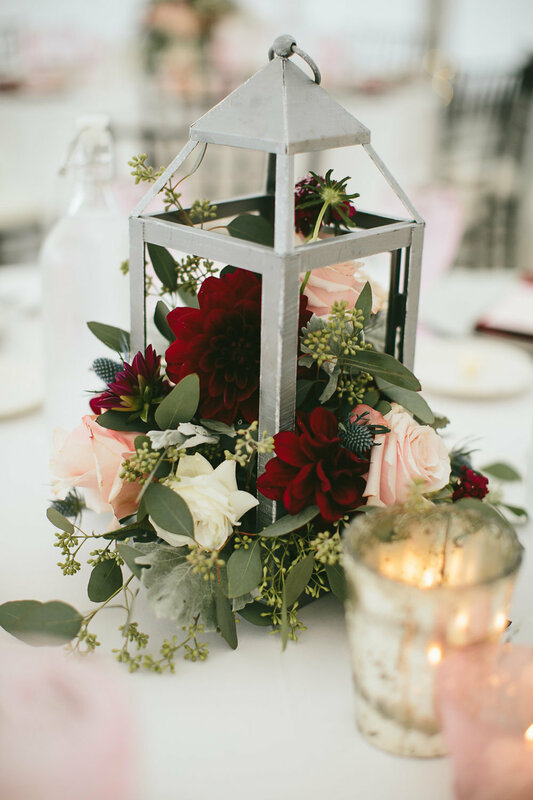 The tented reception had rustic touches with lantern or footed dish centerpieces, mercury tea light holders and picture frames for table signs.